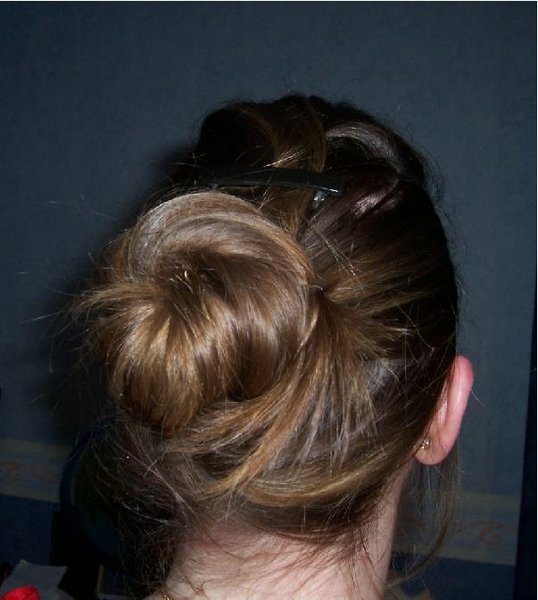 When I was in college in Boston, say 2000 or so, all of my straight haired and mostly white peers had embraced a style that I called the "nappy knot". They would take all of their straight/wavy hair, tousle it up and tease the ends if needed, and then sling it into a messy textured bun or loop. 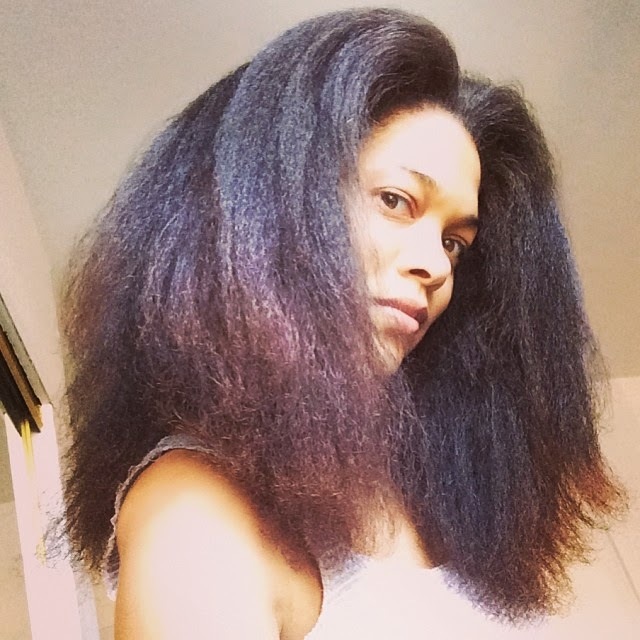 It used to bother me because it seemed to be an attempt the get the very same hair I was diligently and painstakingly straightening and then protecting from "going back" in the humidity or rain. I was going through great lengths, even wearing my covered wrap in class, to keep my freshly done hair straight and smooth and here they were messing their naturally straight or wavy hair up on purpose. Eventually it got to the point where having no money and no time meant no more straight hair, and I went natural (chemical free) by necessity and logical thinking. 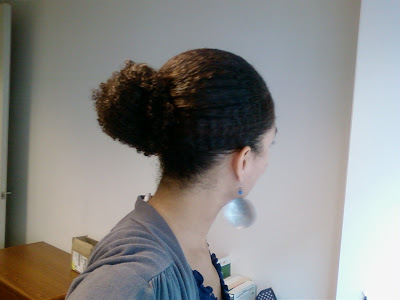 Years later when my hair got long enough, I too was wearing the nappy knot, but mine was more so a "less nappy" and subdued knot- a smooth bun on my hair being near impossible. 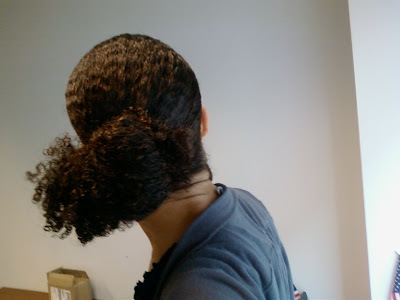 Now, even more years later (sigh...) my hair is even longer and I can achieve an impressive, sculptural, nappy statement of a knot- and I love it. It's a somewhat smooth and collected style with a flair of wildness that saves me time and energy some mornings (or even club nights!) Check mine out today. Hair Epiphany. Do not comb!